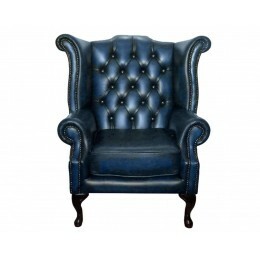 Perfect for the home, hotels, office environments and reception areas, Chesterfield sofas are available in antique blue, ox blood red, green and brown in addition to black and white –so whatever your decor and style, there’s a Chesterfield sofa to suit your requirements. Coated in the finest leather and featuring deep, comfortable seating cushions, Chesterfield sofas provide the perfect place for a lazy day lounging at home – and their generous size means there’s plenty of room for friends and family. 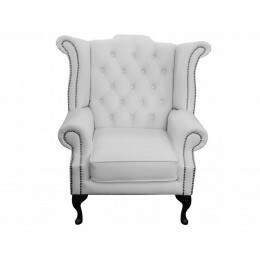 The Chesterfield Queen Anne and leather Club chairs are the perfect alternative if you don’t have room for a 2 seater Chesterfield sofa but want to bring that classic luxury look into your home. 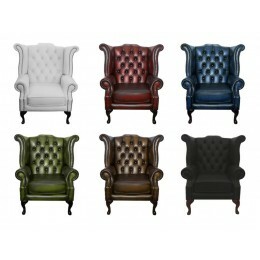 Available in the same fantastic range of colours as Chesterfield sofas, these chairs look wonderful in both traditional and contemporary surroundings. At Zest Interiors we are proud to supply a fabulous selection of genuine Chesterfield leather sofas with the iconic deep buttoned seating, level arms and back and tarnished brass beading that together form one of the world’s favourite sofas. 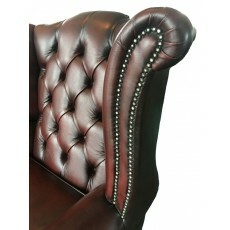 Best of all, our genuine leather Chesterfield sofas are around 50 percent cheaper than other retailers with absolutely no compromise on quality – so why go anywhere else? Browse our huge selection of Chesterfield sofas and chairs online, or call into our Showroom to try them out for yourself and talk to our friendly sales consultants who are more than happy to help you. Alternatively, feel free to give us a call on 0800 085 1422 for more information.